Q &amp; A ...Frequently asked Questons. Q & A ...Frequently asked Questons. If I let my hedgehog put to run around the room to get exercise; do I have to worry about it chewing my wires and cords? I have never been witness to one that chews just for the sake of chewing. Unlike dogs, cats, birds and other small animals, hedgehogs are not considered as ‘cheers’. They normally do not chew for enjoyment but on occasion they will tug at wires and cords in an attempt to move them, which is most likely a nesting instinct. 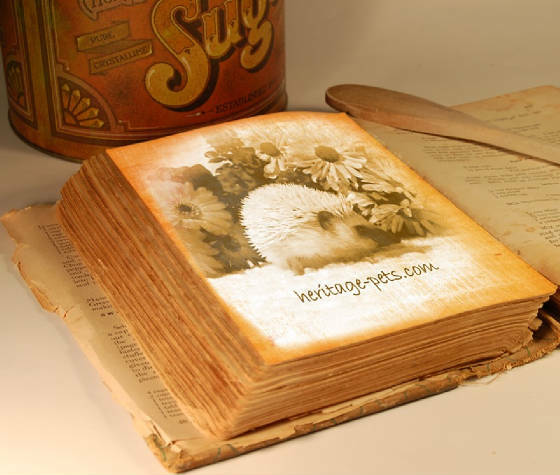 Like all animals, hedgehogs should be supervised whenever they are permitted to run around the room. If you do notice one playing with wires and cords, as a safety precaution, I recommend discouraging this behaviour. Either place the wires or cords out of reach from the hedgehog or only permit the hedgehog access to an area without wires and cords. "Do hedgehogs climb?" I have a huge cage (2ft x 2ft x 6 ft tall) … The cage has logs; rocks and a second level but they have to climb up the log ramp to get to the second level. Will they climb to the second level or are they more ground dwellers? Are they clumsy? Will they fall off the ramp? I would not suggest a 6ft high cage. The cage should be as large as possible (and practical) but height is not as important as length and width. Hedgehogs are ground dwellers and although they do climb up wire they are not good at climbing down. They are clumsy and yes it is likely that they would fall. If the ramps and floors are all solid (not wire) the hedgehog may get used to the cage but in the process may hurt itself. Can hedgehogs be walked on a harness? I have never heard of hedgehogs being harness trained. They can probably learn eventually. I know that people try all sorts of things but I would not recommend them. Do they sunbathe or is direct daytime sunlight hard on them? Our window near the cage gets good daytime sunlight? They should be kept out of direct sunlight as much as possible. They will sunburn. Remember that wild hedgehogs sleep in a den during the day, which is away from direct sunlight. However they should always be housed in a bright sunlit room because away from direct sunlight because they rely on daylight the same way we rely on nighttime darkness to sleep. No! Not usually! If someone were to put me in the middle of a lake I would definitely swim too! (Thankfully I can swim even though I don’t much care for it) I know that many people have posted videos and pictures on the Internet of their "much loved hedgehog" swimming and playing in water. What those videos don’t show is that the hedgehog is in a container full of water and that the hedgehog, really does not have much of a choice! SWIM OR DROWN! so they SWIM! I am pretty sure that most if given the choice would prefer not to have to swim. Do they like to play in shallow water? When given a choice, most would rather stay dry. We give our hedgehogs a quick rinse in an inch of water, once every week and have done so for many years. To date we have none that even remotely appear to enjoy it. They tolerate it because they really do not have a choice. Do hedgehogs need an exercise wheel? If so what type? What can I use on my hedgehog to de-worm him and prevent mites? There are many products on the market that can be effective at de-worming and or preventing mites. Being that I am not a veterinarian I feel that this is something you really need to speak to your veterinarian about. How do hedgehogs get mites? As with fleas, ticks, lice, and mites on dogs, cats, birds, and reptiles, mites are probably the most commonly recognized pests to hedgehogs. They can be carried in on persons’ clothing, shoes, or bedding material etc. While for the most part they go unnoticed by the hedgehog caregiver if left untreated they can be a real nuisance and perhaps even a health risk to the pet. There are products available through your veterinarian that are great at preventing mites, ticks and fleas for all types of pets. I LIVE IN DEER LAKE, NEWFOUNDLAND AND WANT A HEDGEHOG. NOBODY HERE SELLS THEM. WE HAVE AN AIRPORT BUT I HAVE READ ON BREEDERS’WEBSITES THAT SHIPPING ANIMALS IS TOO STRESSFUL AND I HAVE ALSO READ THAT SOME BREEDERS DO SHIP. I REALLY WANT TO BUY ONE BUT I AM NOT SURE IF IT IS SAFE TO GET ONE. WHAT I SHOULD DO? To most breeders, caring for animals and then matching the right breeding pair with hopes of producing superior quality offspring, is pretty much what their hobby is all about. Breeders are not a delivery service! We have been shipping our animals from other breeders and to other people for 25 years. Not once have we had an animal that was shipped to us become ill from being shipped nor have we been notified by anyone that any animal from us has become too stressed or ill because of shipping.